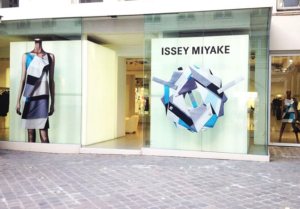 As we were in London last week, it would have been remiss not to visit the Issey Miayke store there. 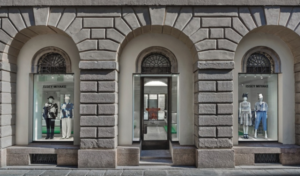 The London Issey Miyake flagship store is located in Mayfair, in a 1950s building that used to house a bank. 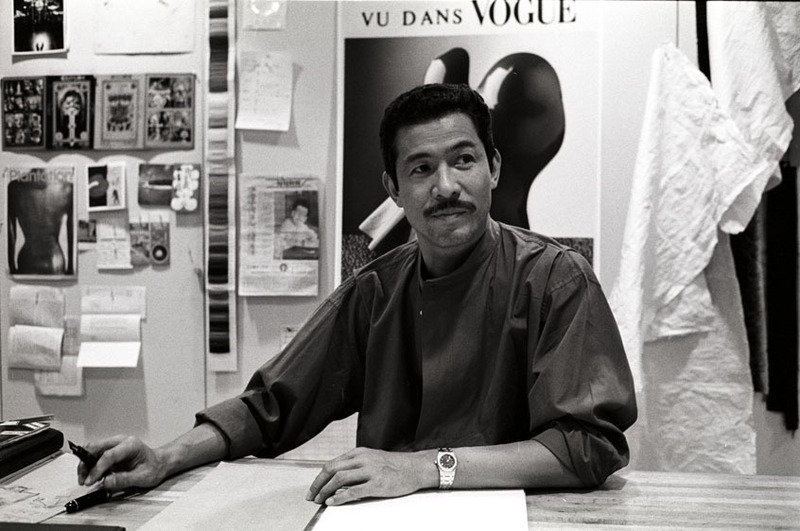 The renovation was led by Tokujin Yoshioka, who was also responsible for the Issey Miyake Reality Lab. boutique in Tokyo. 10 Brook Street still retains a lot of the original features, exposed beams, walls, etc, contrasted with blue dyed aluminium features, creating a space “where history meets the future”. 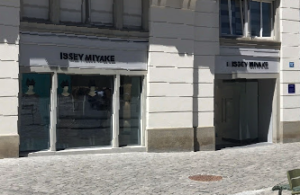 On display are a full range of Issey Miayke brands, including our favorite, Issey Miyake Men, which is situated downstairs. I was surprised at the range of products available. There were twice as many garments on display compared to the selection available here in Fukuoka, Japan, in the department store-based Issey Miyake Men shop in Tenjin’s Iwataya. It seemed a little odd to see such a different selection of goods than what’s currently on sale here in Japan. 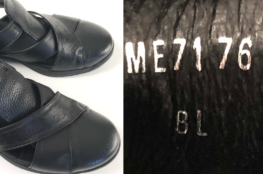 The goods in the Japanese shops right now are all very space age, whilst the London store’s garments were on the whole a bit more restrained. I spoke with one of the store managers. She explained that buyers will select the goods that sell well in that part of the world. 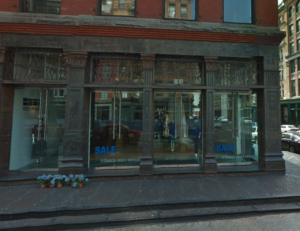 That’s why it’s always good to check out a store if you’re visiting a big city. You can find selections available in various department stores, but as a true fan, you owe it to yourself to visit one of the big stores if you’re in town. They’re works of art unto themselves, and the staff seem very happy to help. Dive into the world or Issey Miyake and emerge yourself in the fabrics of the future.